Do you think Search Engine Optimization (SEO) can only be understood by tech-savvy nerds and people who rarely get any natural sunlight? We wouldn’t blame you for that impression (though we do get a little pasty around here during winter). SEO is a mystery to many and some think it’s magic but here at Gorilla Webtactics, we think the straightforward, plain-spoken approach is always best. So we’re going to spill the beans about Expert SEO practices to you right now. Are you ready for big unveiling? SEO is simply being straightforward and helpful online. Good SEO ranking means you are the trusted source for correct information, helpful products, and reliable service. You continually post great content that your audience wants in a language they understand. They look to you as an expert. By using your ideal customers’ words, stripping your expertise down to the terms they would use in searching, you easily draw the right visitors to your website. For example, if your ideal customer is searching for the best windows for a south-facing exposure, you’re going to use her language in your blog posts, videos, podcasts, social media posts, or informational products, not the language you and your team use in the office. Google rewards you for connecting so well with your ideal customer by promoting your content above your competition. This is what we mean by Search Engine Optimization (SEO)—you’re optimizing your content by using the right language so it gets found by your ideal customer. In short, the more people you help with good content, the more SEO authority you get and the more traffic Google sends your way. And guess what? That traffic doesn’t cost you a dime. Get Your FREE Digital Marketing Guide? For more mystery-busting, business-building straight talk like this, be sure to get our free Digital Marketing Strategy Guide right now. 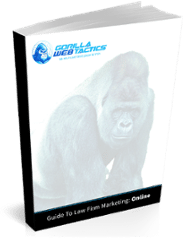 Inside, you’ll discover why SEO is less like magic and more like learning your customers language – plus seven more hyper-specific secrets to online marketing in the simple, no-nonsense language you’ve come to expect from Gorilla Webtactics.